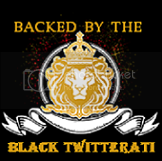 Black Twitterati: 2010Black Twitterati- Celebrating the Black Twitterati... one tweet at a time. Who's worth following, who isn't. It's getting more and more difficult to unfollow people on Twitter. Have you noticed that? Months ago, the site itself did away with any of the doohickeys that would have let you easily see all of the people who follow you (or don't) and how long it's been since they last tweeted. But that didn't stop social media celebs from bragging about using outside forces to unfollow thousands of Twitterers when their streams got too heavy. That was last year. Today one of our members was in the middle of a "bulk unfollow" on Twitter Karma when a pop-up message announced that "On January 15th... " Twitter informed Twitter Karma that the bulk unfollow function violated their terms of service. Minutes later, the owners of Twitter Karma tweeted that Twitter had told them to take the button down. The guys who run TweetLater saw this coming last July. 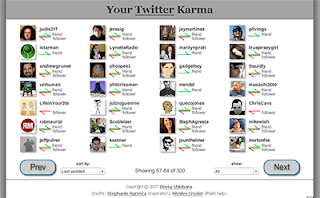 Does anyone remember Qwitter? For a while, it was the hottest thing going for Tweeters who didn't want to follow anyone who didn't follow them back in return. Now don't be mislead- Qwitter was never stable or reliable. It was a lover who called when he wanted to. You wouldn't hear from Qwitter for weeks, and then it would dump an avalanche of "quits" in your inbox. But at least Qwitter was on the case until sometime last year when, for no reason at all, Qwitter stopped calling. The creators who live in Ireland keep the page up, but don't bother. It isn't working. Neither is Twitoria. Whether those sites got the same warning as Twitter Karma or whether staying "free" just didn't pay the bills, many Twitter users are having a harder time managing their accounts than they used to. There are still some other bulk management tools out there. But many of them aren't able to handle the demand and have stopped accepting new sign-ups. There are options, though, for people who use various Twitter clients like Tweetdeck and the like. But today we want your opinions. Does not being able to mass prune your lists affect the way you use Twitter? What Twitter tools do you use to manage your Twitter stream? If you've been on any of the major social networking sites this week, it's impossible to miss: the massive and insistent calls to action in the face of human suffering. 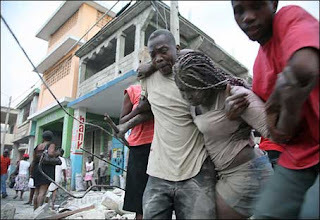 On Tuesday evening a 7.0 magnitude earthquake struck Haiti, 10 miles outside of Port-Au-Prince. The Caribbean nation was left in shambles. President Obama pledged $100 million dollars to relief efforts. But concerned people around the world have been reaching out in a way they were never able to do before and asking "What can I do?". Almost immediately after news of the tragedy broke, celebrities on Twitter began urging their millions of followers to donate to the Red Cross, UNICEF and other relief organizations, setting off a wave of "Donating by Text". Haitian-American musician Wyclef Jean set fire to Twitter with his Yele Haiti Earthquake Fund, urging followers to text "YELE" to 501501 to make a $5 donation. By all accounts, donations triggered by social media have been pouring in. On his own site, Wyclef said "I cannot stress enough what a human disaster this is, and idle hands will only make this tragedy worse. The over 2 million people in Port-au-Prince tonight face catastrophe alone. We must act now." As people targeted search engines for more information today, Wyclef's campaign to help Haiti made his Twitter account the 2nd highest result for the search term "TWITTER" on Google. In addition, "yele wyclef" was the #3 top search on Google and "wyclef jean haiti relief" was #4. Concerned about scams, many tweeters expressed today that the campaign backed by Wyclef is the only one they feel they can trust. With telecommunications systems down in Haiti, to say that information coming from the island is sparce is an understatement. Millions of Haitians living outside Haiti are still unable to reach family and friends. That has led to an uptick in traffic on Youtube, where the constant uploads of grainy aftermath clips are being viewed by thousands of people by the hour. Today the first three of the "Most Viewed" videos are concerning the earthquake. Meantime, Haitians and people with loved ones in Haiti are using Facebook to share information and organize donations. The wall of Earthquake Haiti is filled with family pictures, heartbreaking pleas for information, and prayers. The page popped up literally overnight and has nearly 125,000 members. Almost 4,000 pictures of missing loved ones have been uploaded. We are also hearing about several charitable events being arranged to benefit relief efforts and we'll bring you up to date on those when we get more information.